Client Distinction Award | Lance P. Richard, P.A. Mr. Richard earned a Client Review Rating Score of 4.5 or higher on a scale of 1-5. Less than 4% of the 900,000+ attorneys listed on martindale.com and lawyers.com have been accorded this Martindale-Hubbell honor of distinction. This award serves as a point of reference which tells clients and potential clients, that others have confidence in his work. Mr. Richard previously received the AV Preeminent designation signifying that he has been rated by judges and fellow attorneys as having the highest possible rating for legal abilities and ethical standards. The rating is awarded to less than five percent of all attorneys across the United States, and is the highest rating offered by the Martindale-Hubbell Law Directory. The Client Distinction Award and the AV Preeminent rating are nationally-recognized acknowledgments of an attorney’s accomplishments and skills, and are known to position him or her among the elite practitioners in the country. Richard commented, "I am extremely honored that my clients have evaluated me as being worthy of such a highly-regarded distinction. I believe it is a testament to my continuous commitment to high ethical standards and quality legal work for my clients." 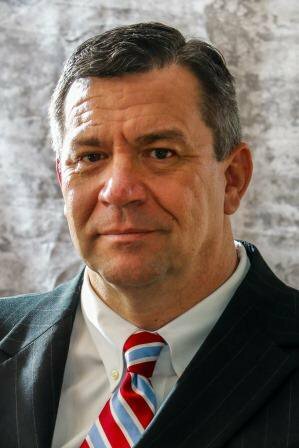 Attorney Lance Richard devotes his practice to representing individuals in personal injury and criminal defense cases. He received a master’s degree and law degree with honors from the University of Miami and he is a member of numerous legal and civic organizations. It is his firm’s priority is to provide clients with quality legal advice, outstanding customer service, and strong effective advocacy that delivers results. The law firm of Lance P. Richard, PA is a talented and experienced team of legal professionals who are committed to defending individuals’ rights in personal injury and criminal defense cases throughout Florida. It is the firm’s priority is to provide clients with quality legal advice, outstanding customer service, and strong effective advocacy that delivers results.